During the Symposium there will be the possibility to display posters of scientific papers in the common areas and to answer the questions of attendees during the breaks. Presenters will interact with attendees while standing next to their Poster Presentation. Attendees at Poster Presentations will stroll by looking for topics of interest. Presenters need to attract attention with a good topic and a visually interesting presentation. Organization and clarity are critical. 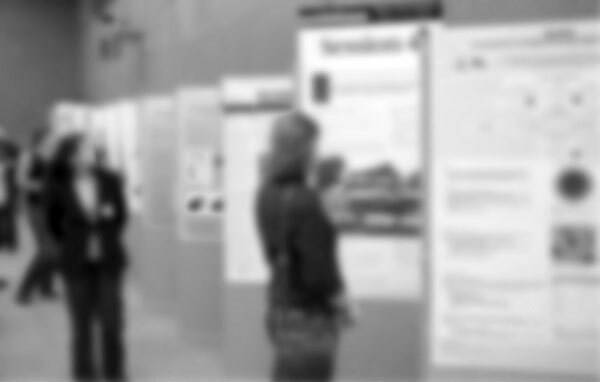 A poster presentation should attract people's interest as they walk by and then be easily reviewed to stimulate a one-to-one discussion with the presenters. The goal is to encourage informed discussion about your research. The poster should be easily readable from 1.5 meters (4 feet) away. Format: There will also be other authors with their poster presentations in the gallery. For that reason, we encourage you to avoid exceeding the dimensions of a Din A0 (84 cm width and 120 cm high) and hang your posters vertically. - Title: At least 36 points. - Headings: 30 points or more. - Text: At least 24 points. Other recommendations: When choosing a background to frame your visual presentation, remember that neutral or greyish colours will be easier to see than a bright colour. Space your information proportionately. A suggestion is to divide your presentation either horizontally or vertically into three or four sections, and place materials within those sections. We recommend you to use illustrations, schemas and graphics so that your presentation can be more attractive.